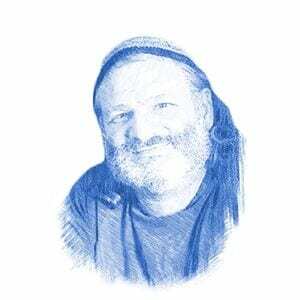 The Seeds of Messiah Planted in the Ruins of Amona - Breaking Israel News | Latest News. Biblical Perspective. On Sunday, December 25th, when Jews and Christians around the world will be celebrating their respective holidays, the 42 families of Amona will watch as police and soldiers come pouring into their town to remove them from their homes. Ironically, some rabbis are seeing great, even Messianic beginnings in what appears at first glance to be an onslaught of unnecessary destruction. Rabbi Shmuel Eliyahu, the Chief Rabbi of Tzfat (Safed), published an article in Israel National News on Thursday about the Amona episode, citing the admonishment by Rabbi Shimon Bar Yohai, a second century sage quoted throughout the Talmud, that the Land of Israel is only acquired through suffering. 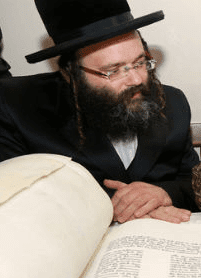 Rabbi Yosef Berger, the rabbi of King David’s Tomb on Mount Zion, told Breaking Israel News that, as Rabbi Eliyahu explained, suffering always precedes great achievements for Israel. Rabbi Berger noted this is a trait of Israel, as written in the Torah. Rabbi Berger stated that the destruction of Amona on the first day of Hanukkah was connected to the beginnings of Geula (redemption), citing “Bnei Yissaschar”, a kabbalistic book written by Rabbi Tzvi Elimelech of Dinov in the late 18th century. The battle for Amona began twelve years ago, when Palestinians, aided by left-wing foreign funded NGO’s, petitioned the High Court claiming the community was built on Palestinian-owned land. Despite numerous appeals and delays, the final date to demolish the settlement was set for this coming Sunday. Earlier this week, the families of Amona accepted an offer from the government in which they would voluntarily leave their homes in exchange for financial compensation and a guarantee that 24 families would be allowed to build new homes on a nearby plot of land. The rest of the families will be given plots to rebuild in the nearby city of Ofra. Though this seems to have defused the situation, Israelis are watching events unfold, praying that this time will not be a reenactment of the violence that occurred in Amona ten years ago. In 2006, nine houses had been ordered destroyed by the Israeli high court. On the day of the evictions, 10,000 Israeli Police and IDF troops faced an estimated 4,000 protesters. By day’s end, the houses had been demolished but more than 300 people were injured, including about 80 security personnel. Despite the signed agreement, tensions are still high as the government and settlers eye each other with caution and more than a bit of mistrust. The High Court is aware of this and on Wednesday night issued a demand that residents sign a declaration they will leave peacefully. Israeli police are also preparing for the eviction. Channel 2 news reported on Saturday that prison authorities had emptied entire wings in preparation for mass arrests. The rabbi of Amona, Rabbi Yair Frank, released a statement on Saturday, asking protesters to refrain from harming security forces. “Our complete opposition to the destruction of the town of Amona must be expressed in a passive and nonviolent protest only. It is clear to us no one, in no situation, will raise a hand against the soldiers and policemen, who are our brothers,” he said.